The original Microsoft Xbox console was launched in November of 2001. At the time, the Xbox was a relatively new player in the gaming market and consumers were unsure of what to expect from the new console. However, as it came to be, the original Xbox did very well in sales and quickly became a formidable competitor to Sony’s PlayStation 2. Microsoft has come a long way with the Xbox. Currently, the console is on its 4th iteration with the latest one being the Xbox One X. Today, as we look back, the first ever original Xbox prototype was very different from the consumer model. 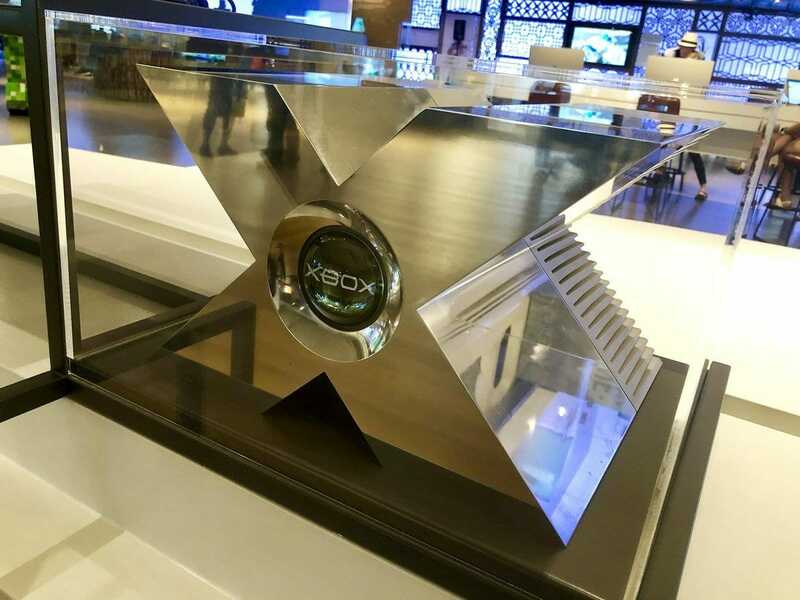 Currently being showcased at Microsoft visitor center, the original Xbox prototype came in the shape of a huge and bold “X” shape. It seems to have been made out of a glossy metal, most probably Aluminum. We can’t help but admire the vast size and the very definitive X shaped body of the prototype. The original Xbox Prototype was posted online by Graeme Boyd on his twitter profile. Graeme Boyd is a Social Marketing Manager for Xbox. Below is the tweet that he posted on his profile. According to some of the comments on the post, the original Xbox prototype seems to be functional still. Although it is not in the best of conditions, having endured more than a decade, however, it can still run games granted with some difficulty. At a closer look, the Xbox prototype features a round hollow screen in the center which displays the name “XBOX” when turned on. The back of the Xbox prototype houses the cooling exhaust and connectivity ports. The original Xbox prototype sure does reflect the beginnings of a gaming giant. Who knew back then that the first ever Xbox console will launch things into motion for Microsoft. 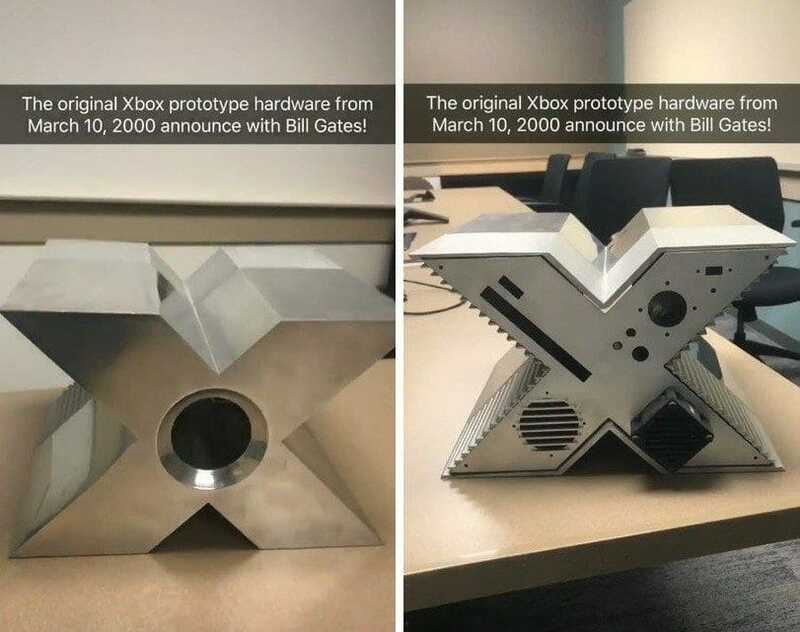 Let us know in the comments how you felt about the Original Xbox prototype.